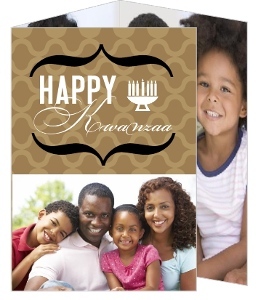 If you just so happen to be coming across this page in looking for a Kwanzaa card, you're probably surprised. 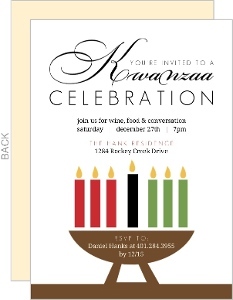 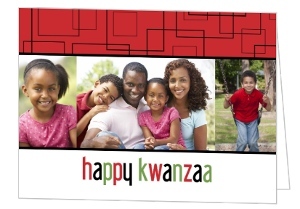 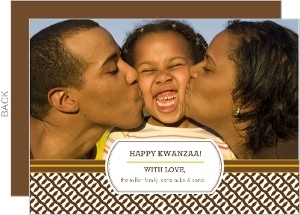 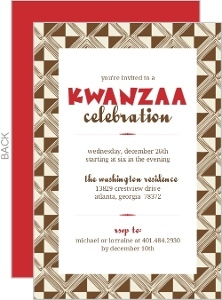 Not many sites have Kwanzaa holiday cards, and even less with the customization powers that we give you for free. 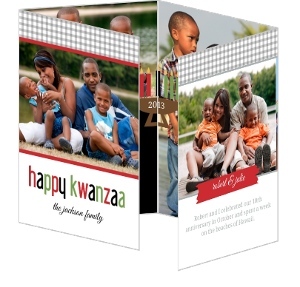 Whether you're hosting a party or just sending holiday well wishes, our cards are top of the line, and made just for you, because they're designed in part by you. 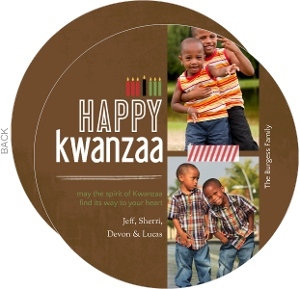 PurpleTrail is all about custom. 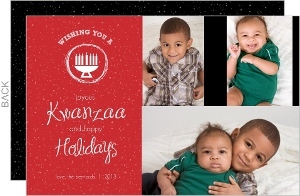 Custom holiday cards is just the icing on the purple cake. 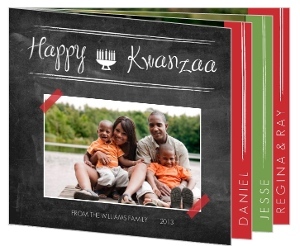 Definitely make use of these as you see fit, but don't forget to look at our other items. 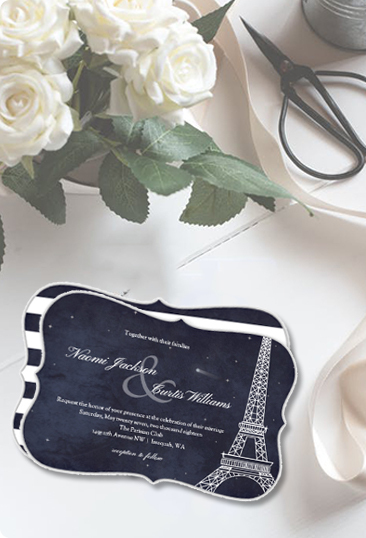 Stationery like ours isn't just a fine gift, it can be part of your work day, it can help you plan your week, it could give the right first impression to a client. 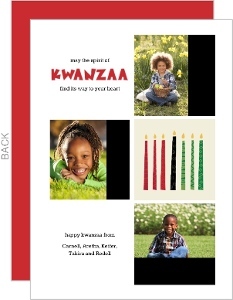 Yes, we've got Kwanzaa cards. 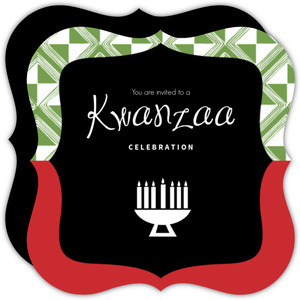 Yes, we've got a whole lot more. 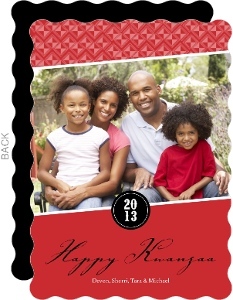 Personalized Stationery at PurpleTrail.